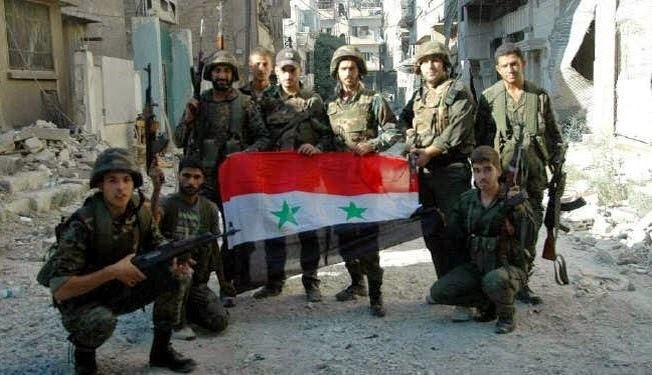 Image: Syrian troops have begun retaking the pivotal city of Homs, with the last remnants of NATO's terrorist proxies encircled and all but defeated. The defeat of NATO's proxy war in Homs signifies greater defeat both within Syria and regionally. The western city of Homs - Syria's third largest city, located near the northern Lebanese-Syrian border - has served as one of several major battlegrounds between foreign-backed terrorists and Syrian security forces over the past 3 years. Militants were armed and arrayed against Syria using Lebanese territory under the auspices of the Hariri-Siniora political faction beginning as early as 2007, years before the so-called "Arab Spring" unfolded.